Our family was not planning on moving so far away from California. The West Coast had been our home for almost 3 decades. It did not take long before we found ourselves in the deep south of Georgia at the end of our cross-country journey. Good bye salty air, hello bugs! As we were adjusting to the new culture, unpacking, and getting settled in our home, my thinking was still in California mode. With earthquakes in mind, pictures and shelves were not being hung over beds and fragile items were placed in enclosed cabinets. In California I had things strategically placed and tacked down. Mentally, I was still thinking of “The Big One”. Once we were settled into our Georgia home, though, I obviously had to think about prepping again, but this time, for different scenarios in our new location. Now that we are in Georgia, we have some great art work hanging in places we never would have before. I needed to learn about the types of disasters that occur in my new area and how to best prepare for them. Each area has its own set of hazards. Gather those that you may live with and make a list of the disaster risks that you are aware of. First, list those that are most probable. Think of the places that you will be going to on a regular basis. These would include places of employment, worship, schools, and shopping centers. Spend the next month observing your new area. As you drive around, notice any tunnels, rivers, bridges, power lines, railroads, trucking routes, chemical plants, government buildings, or refineries. Look for alternate routes to work and different ways to get out of town. It does take a while, but learn your way around your new city without needing GPS. Have a paper map of your area in each car and at home. I recommend the DeLorme atlases for their detail. TIP: You can read about 5 steps to making a personalized threat analysis here. Locate where the closest CERT class is in your area. You can find classes on the FEMA website. If you have already taken CERT classes, but it was quite a while ago, a refresher would not hurt. You can learn what the major risks are in your area, how to prepare yourself, and how your community is prepared to handle emergencies. typically, these classes feature people in critical roles, such as a fire marshal, a representative from FEMA or Homeland Security, a police chief or sherrif, and the like. CERT classes are the perfect opportunity to ask questions and be with people, like yourself, that want to learn more about preparing. It is a great place to connect with others and you may find yourself happy to be a volunteer for your new town. Your local city and county web sites may have an emergency preparedness section. Some cities allow their residents see the Emergency Operations Plan (EOP). The EOP lists any risk assessment, available resources, continuity of government, and mutual agreements with other agencies. You will learn how your city responds to emergency and disaster situations related to national security, technological incidents, and natural disasters. The local city and county web sites also have information about local utilities, phone numbers, evacuation places, and emergency instructions. Start connecting with neighbors, people at your church, and coworkers. Those that have lived in your area for a while can be a wealth of information. They have an in depth knowledge of the town and its history. These are the people you may be depending on if something happens in the near future. They may also know places to shop to get any preparedness items you may need. Even taking a walk around your neighborhood will alert you to things like exit routes. Local prepper groups are another way to get information about your city’s hazards. Preppergroups.com, PrepperLink.com and Meetup.com are sites you can go to in your search for a group to belong to. Some of these groups vary in their purpose. 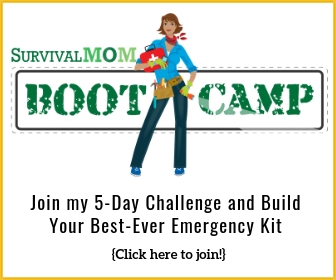 If there is not a group nearby, there are many sites that help you form a prepper group in your town. Chances are, there are others who are prepared or want to be and would love to join other like minded people. One of my favorite places to go is Usa.com. Just enter your zip code and you have a ton of information about your new town. On the left side you can click on “Natural Disasters and Extremes”. There is a 60 year history of the disasters in your area and how often they occur. 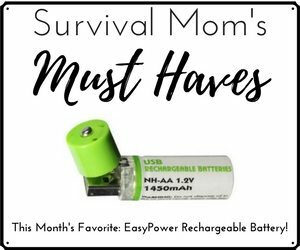 Once you know the most likely disasters, do a search on this blog for helpful prepping and survival tips for each of them. As important as it is to know the potential dangers in your area, there are the hazards that can happen anywhere you move to. Check your new home for any fire hazards, have carbon monoxide and smoke detectors installed and/or checked. Inspect the area around your home. Trim any trees in areas where they could cause problems or call to have the utility company trim them. Check your home for good security, maybe an alarm system or additional locks. Learn what the laws are concerning firearms in your state. Have adequate home, life, and auto insurance to help you get through a disaster. TIP: Keep your family safe by creating a fire escape plan. Check social media! The Red Cross and other government agencies have a presence on social media. There are more people than you realize who are reaching out to others through Facebook and other sites. I have chosen to receive updates from our local county emergency management office and the US National Weather Service on my Facebook. My phone alerts me about any upcoming storms headed my way. Evaluate your primary risks and see if there is a secondary risk that could affect your family. You may not experience the earthquake, but you may be in the line of the tsunami. The fire did not get to your home, but the coming rains could cause a mud slide in your neighborhood. Think about the disasters that could happen and look for the secondary risk. If you are a business owner, there are also first and secondary risks that may abruptly slow or stop your livelihood. Gauge what options you have to minimize the effects a disaster could have to your employment and use this Neighborhood Disaster Supply list to equip your place of business with tools and gear necessary for prepping and recovery. Civil disturbances are more than the rioting in big cities that we see on the evening news. It also includes acts of war and terrorist attacks. While some civil disturbances are out of our control and unpredictable, being prepared is still necessary. No one saw the attacks in San Bernardino or Orlando coming. Again, look at what is probable for your area and do your best to have a plan. 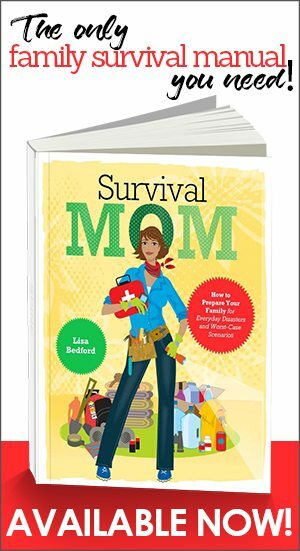 You can educate yourself about civil unrest and how to stay safe with this Survival Mom article and for a full 2-hour training class which includes a 190+ page e-textbook, check this out. Moving is stressful on its own. 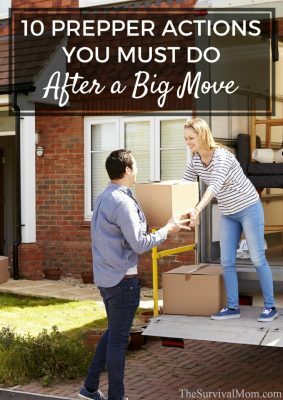 Don’t make prepping after a big move add to your stress. Unpack, find the lamps, and register the cars first. Work on getting prepped in baby steps if needed. Do your best to not become overwhelmed. Look around and make decisions based on what is truly probable. Remember that you are prepping for you and your family. Though there may be some similarities with others in your area, you have to tailor prepping to your needs. Taking the Plunge: Going From 1 Income, To No Income. On Purpose! 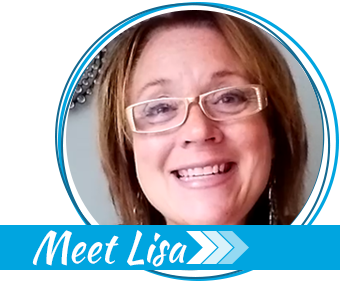 Welcome to the South Lisa! Yes, that’s a capital S. Sorry about the bugs, I hate ’em too. We live in the mtns of NC, so it’s not as bad as some places, ahem..flat GA. Hoping you have some elevation to your new digs. Lisa isn’t the one that moved. I did (Erin Foster). We are in Northwest Georgia, so it isn’t as flat as other areas, but certainly not the mountains of California! My family and I look forward to visiting more of the states north of us. I will have to check out the mountains of North Carolina! We are loving the Southern hospitality!